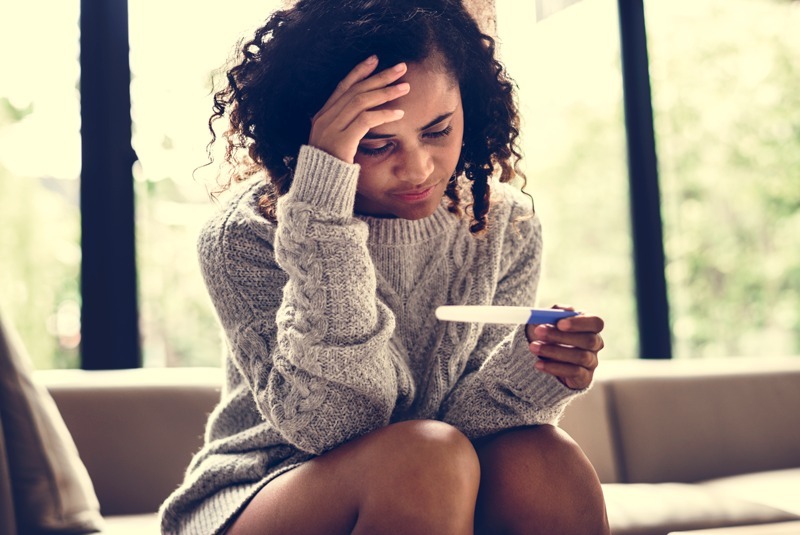 If you’re facing an unplanned pregnancy, it can be scary and overwhelming. No matter where in Florida you live, CHS can help. Call us today at 904-415-5086 to learn about your options. If you’re pregnant and didn’t plan to be, then you probably have a lot of questions about your future. You’re also probably scared and feel alone and confused. Learning about an unplanned pregnancy can be very stressful. Some teens and women have difficulty eating, sleeping and/or concentrating. Take a deep breath – you’re not alone. Talk to your family, your boyfriend or husband, a friend, or a pregnancy counselor. This is the first step to face your situation—to start planning what’s best for you and your baby. A qualified counselor can help you explore your options. Counseling services are free. A pregnancy counselor will support you through email, by phone, online and in person—whatever you prefer. All information is confidential. You don’t even need to provide identifying information to receive services. Contact a counselor now. Our qualified pregnancy counselor can help you explore options available to you—including adoption and parenting. If you choose adoption, we’ll help you develop a comprehensive legal adoption plan, including selecting an adopting family that meets your requirements and your baby’s needs. You’ll receive emotional support and confidential counseling. Our counselor will help you throughout your pregnancy, during your hospital stay and after you place your child. We know it will still be hard, but we can help you through it. What kind of resources can I get? What if I just need someone to talk to? Call us at 1-800-247-4600. We understand you may feel alone. At CHS, we provide 24-7 support from a compassionate counselor. We also offer birth parent support groups and one-on-one meetings and phone calls with others who have already been where you are. Adoption is a courageous and loving decision. But it’s not easy. Most teen girls and women contact us because they’re not ready to parent a child at this time in their life. A single mother may want her baby to have two stable parents, or a couple may feel they can’t afford to raise a child or have any more children. Others need to complete their education or are having problems in their relationships. We’re here for you during this time of uncertainty—to help you make informed decisions for you and your baby. Women who choose adoption do so because they fully believe it is the best decision for everyone. How does adoption benefit my baby and me? If you’re not ready to be a parent—and many teen girls and women in your situation aren’t—you can still give your baby the gift of a lifelong family by choosing adoption. You have the power to legally plan your baby’s future by selecting the family for your baby. The family will embrace the child as their own and provide the future you want for your baby. Why should I work with Children’s Home Society of Florida? Because our main concern is for you and your baby. CHS provides all of the services of a law office, PLUS a whole lot more. We provide one-on-one counseling to help you through the decision–making process. We have support groups to help you connect with others in a similar situation and those who have gone through it recently. We will also be here for you long after the adoption is completed through support services and confidential, lifetime storage of files. We do all of these things while providing top-notch legal services to satisfy all requirements at no cost to you. Before your baby is born, a counselor will make sure you understand your legal rights and take all precautions necessary to ensure your baby’s adoption is handled correctly. We also will refer you to a legal adviser, if requested. When you’re discharged from the hospital, legal forms consenting to the placement and adoption of the baby will be signed. Your counselor, along with our attorney, will file the legal forms with the court. A judge takes the legal action to terminate your parental rights so the adoption can be finalized. You will have the option of not appearing in court. Do I have to involve the baby’s father? The birth father and/or legal father of your child should be part of the process. Having all relevant parties participate ensures the placement is safe and legal. We understand that sometimes this involvement needs to be handled separately and privately. We will handle all of the legal paperwork with the birth father in collaboration with our attorney. Remember, vital health information about your child can be learned when the father joins in the adoption plan. This may be critically important to the baby as he or she grows up. How much will my baby know about me when he or she grows up? This depends a lot on you. We encourage you to pass your medical and cultural history on to your child. You may also wish to share your identity with the adoptive family and even request periodic updates, with letters and pictures exchanged through CHS. We will always protect your identity from the adoptive family and any others based on your wishes. When is my decision final? Under Florida law, a woman can change her mind at any time before she signs the consent for adoption paperwork. After the baby is born, we will wait 48 hours or until you are medically cleared to be discharged from the hospital before any paperwork is signed. Your counselor will review all of the legal forms with you and will only take your signatures if you are confident with your decision of adoption. What support will I receive after the adoption? Each birth mother is different, but many wish to receive additional counseling and support after the birth of their children. During this time, our counselors help you deal with grief and loss issues related to adoption and help support your decision. CHS has provided adoption services for more than a century and continues supportive counseling to birth mothers for as long as they would like. What if I decide years after the adoption that I’d like to contact my child? We provide confidential lifetime maintenance of all adoption records in our adoption archive program. We adhere to all agreements made at the time of adoption and do not reveal any information without consent on both sides. If, and when, the time is right, the archive team can provide search-and-reunion services for all members of the adoption triad: birth mothers, adoptees and adoptive parents. These services are initiated by a member of the triad and always coordinated through our office. A fee applies. What happens if my child wants to find me? CHS provides confidential lifetime maintenance of adoption records. If your child wants to find you, he or she must wait until reaching 18 years of age before we will assist with contact. We will only initiate communication after we contact you and you agree to it.